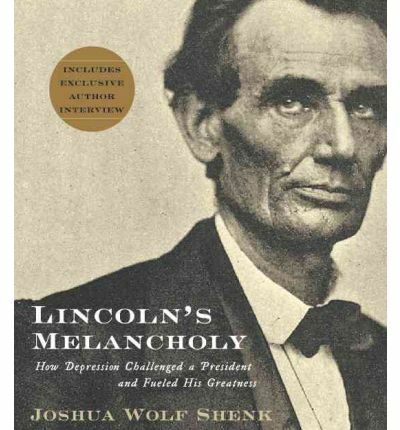 Drawing on a wealth of his own research and the work of other Lincoln scholars, Shenk reveals how the sixteenth president harnessed his depression to fuel his astonishing success. Lincoln found the solace and tactics he needed to deal with the nation's worst crisis in the "coping strategies" he developed over a lifetime of persevering through depressive episodes and personal tragedies. With empathy and authority gained from his own experience with depression, Shenk crafts a nuanced, revelatory account of Lincoln and his legacy, and in the process unveils a wholly new perspective on how our greatest president guided America through its greatest turmoil. About the Author: JOSHUA WOLF SHENK has written for The New Yorker, Harper's Magazine, The Atlantic Monthly, The New York Times, Mother Jones, and other publications. He is a former editor of The Washington Monthlyand has been a correspondent for The New Republic, The Economist, and U.S News and World Report. He serves on the advisory council of the Abraham Lincoln Bicentennial Commission. Shenk resides in Brooklyn, New York.RICHARD M. DAVIDSON's career spans all venues of the acting business: theatre, film, and narration.